(TNS)—Retirement is on the horizon, and you’re thinking about relocating to another city—but before you sell your current house, you might want to consider remodeling parts of your home to increase its value. If your garage door is notably banged up or glaringly outdated, consider having a new one installed as part of your home improvement initiative. Doing so can seriously increase the curb appeal of your residence, which will draw more buyers in. A garage door replacement is a relatively inexpensive home renovation, with the national average price at just $3,470. Expect it to boost your resale value by approximately $3,411, which means you’ll recoup 98 percent of the cost. If your home looks good from the outside, buyers will want to see the inside. Make the front exterior of your home the most luxurious on the block by having manufactured stone veneer installed on top of your existing siding. Unlike many home improvement projects, you can expect to recoup around 97.1 percent of your costs. Budget the national average rate of $8,221 for this upgrade, and expect it to increase your home’s resale value by an estimated $7,986. Buyers value a home with a nice outdoor space. Even if your local area only has a few warm months per year, chances are that whoever buys your home wants a deck to enjoy the pleasant weather while it lasts. If your home doesn’t have one, think about adding a new deck to your home renovation list. The national average cost of a wooden deck addition is $10,950, but you should recover roughly $9,065, which is an 82.8 percent return on investment. If you opt for a composite deck addition, plan to spend around $17,668 and increase your resale value by roughly $11,239, providing a 63.6 return on your investment. The kitchen is the most important room in the house in the mind of most buyers, according to real estate site Zillow. Consequently, if you can’t remember the last time yours was upgraded, it should be a priority in your home renovations. The national average cost of a mid-range minor kitchen remodel is $21,198. It will add around $17,193 to your resale value, so you’ll recoup approximately 82.8 percent. Since a kitchen remodel is often the most necessary but not the most lucrative home renovation, Zillow recommends focusing on the most eye-catching areas, including countertops, cabinets, appliances, outlets, backsplash and flooring. In some cases, a coat of paint or a little sandpaper might make a world of difference, so try to salvage what you have before investing in all new upgrades. The shape of the siding on your home is the very first impression most buyers will have. If it’s in poor condition or an outdated color, potential buyers might assume the inside matches the outside and keep on driving without stopping for a tour. The national average cost of a siding replacement is $15,072. This home improvement project should add around $11,554 worth of resale value, which is a 76.7 percent return on investment. 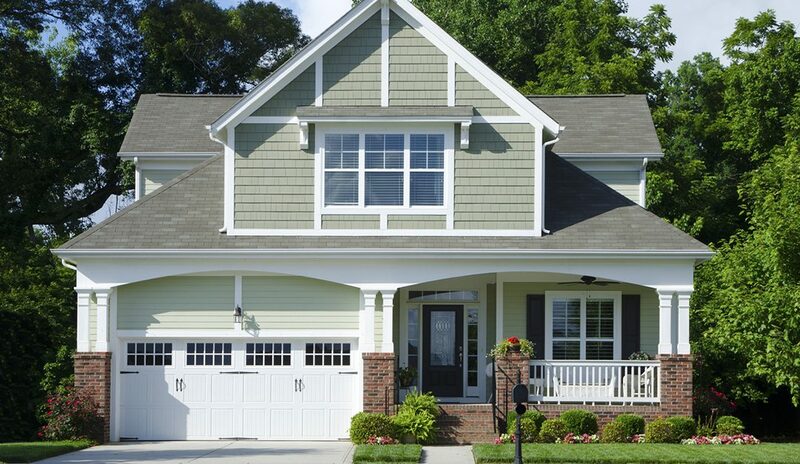 Choosing the right siding colors makes all the difference, so Better Homes and Gardens recommends taking a number of factors into consideration, including the color scheme of your neighborhood and the architecture of your home. The magazine also suggests applying swatches of your favorite paint choices on different sides of your home and evaluating them at different times of day so you can make an informed decision. If your bathroom has a blue tub or pink tile lining the walls, updating it in a home renovation will increase the resale value of your home. The national average cost of a mid-range bathroom remodel is $19,134, and it garners a return on investment of roughly $13,422, which is 70.1 percent. Because this home remodeling project is important but not necessarily the most profitable, handle it wisely. Repairing or replacing tile, floors and walls make a bathroom more appealing to buyers, according to home services site Angie’s List. It also recommends adding a wow factor, such as a large glass shower enclosure, an attractive tile detail or a striking vanity. Most buyers aren’t keen on purchasing a property and immediately having to sink even more cash into it. If your roof is nearing its expiration date, consider replacing it. The national average cost of a roof replacement is $20,939, and it adds approximately $14,320 to your resale value, bringing your return on investment to 68.4 percent. Potential buyers might not immediately notice your home remodeling project, but a new roof could be a deciding factor for those very serious about making an offer. Many older homes with multiple bedrooms were only built with one bathroom. While this setup worked fine for your family, modern buyers aren’t so keen on having one bathroom for the entire household. If most homes in the same price range in your local area have multiple bathrooms, you will probably benefit from adding another. The national average cost of a mid-range bathroom addition is $44,717. This home improvement project will increase the value of your home by an estimated $26,769, providing a 59.9 percent return on investment. As noted earlier, the kitchen is a major focal point for buyers. If yours is in such bad shape that a minor kitchen remodel just won’t cut it, you might want to spring for a major kitchen overhaul. This type of home remodeling project would likely necessitate most—if not all—upgrades involved in a mid-range kitchen remodel plus something more involved, such as changing the entire layout of the room to a more functional, open setup. The national average for a major kitchen overhaul is $63,829. Expect to recoup about 59 percent of your investment, as it will add approximately $37,637 to your resale value. You’ve done just fine all these years without a master suite, but this feature is coveted by many modern buyers. If this home renovation makes sense to attract buyers in your local market, consider building out a new master bedroom suite that includes a private bath, walk-in closet and dressing area. Budget the national average cost of approximately $123,420 for a mid-range master suite, and expect it to boost your resale value by around $69,807, representing a 56.6 percent return on your investment.